Will Sula be able to keep her promise to her mother or her lover or forsake her own heart? Or will she forsake the very part of her that makes her so unique? It gets even trickier when she meets the only other comyenti survivor; kind but bigoted Shazar. Will he be prepared to give up on her or his vision for the new comyenti future? It’s finally here; the cover for my new Fantasy novel! The cover design is by Kirsty Fossengen. She did a great job! Call Off The Search, which is the first book of the Last Of The Comyenti Series, will be released in August/early September at the latest. I’ll be doing a blog tour for COTS around the book’s release date, watch this space! And I’ll also be doing some pre-release promotions here on my blog in the upcoming weeks, so stay tuned for more information. 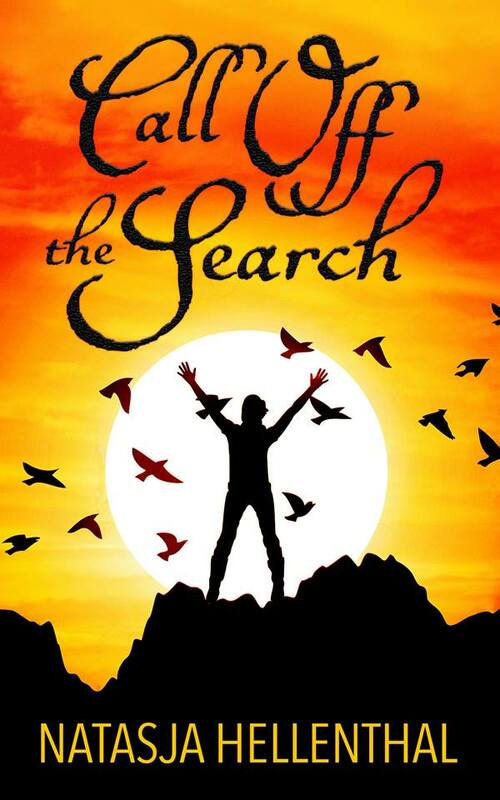 For now, enjoy the cover and get exited by reading the blurb for Call Off The Search. the Comyenti’s; an ancient species of Mindlinkers, beautiful, sentient and empathetic beings that possess abilities of animals. They are nearly at their end due to hunting. During the search for more like her, Sula, part Comyenti and part Human, meets an attractive farmer and faces the first of many heart wrenching decisions she must make. Will Sula be able to keep her promise to Felix and forsake her own heart? Or will she forsake the part of her that makes her so unique?